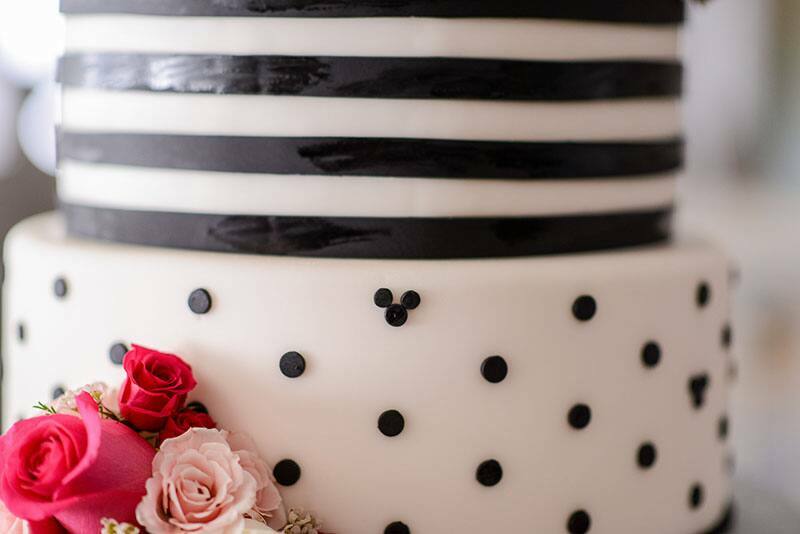 This couple decided on a classic geometric cake design of stripes and polka dots. 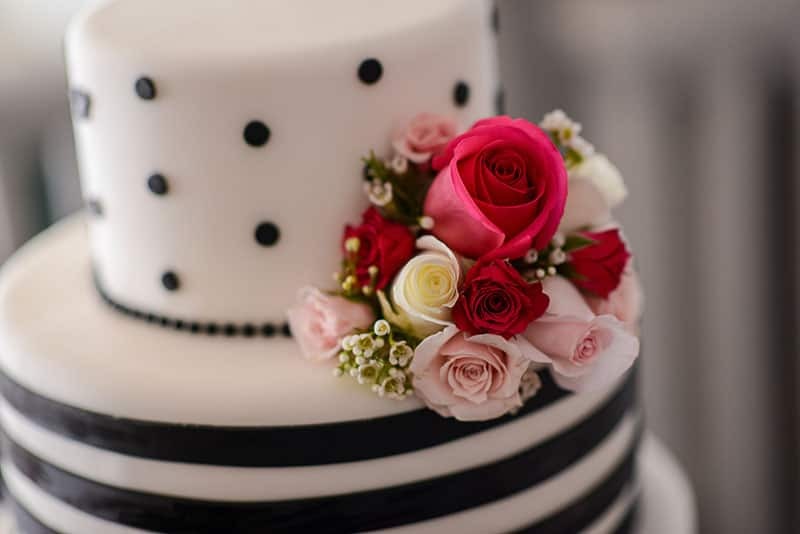 The black and white fondant is both simple and elegant while the pink floral additions add a little flair and color. You might even spot some tiny Hidden Mickeys among the spots on two of the tiers! 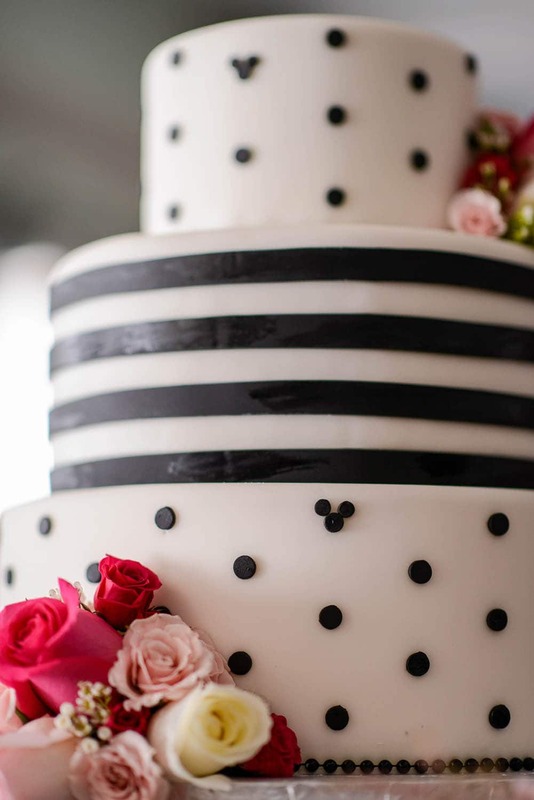 my colors at my wedding where black and white and silver, this is a gorgeous cake. I love it. 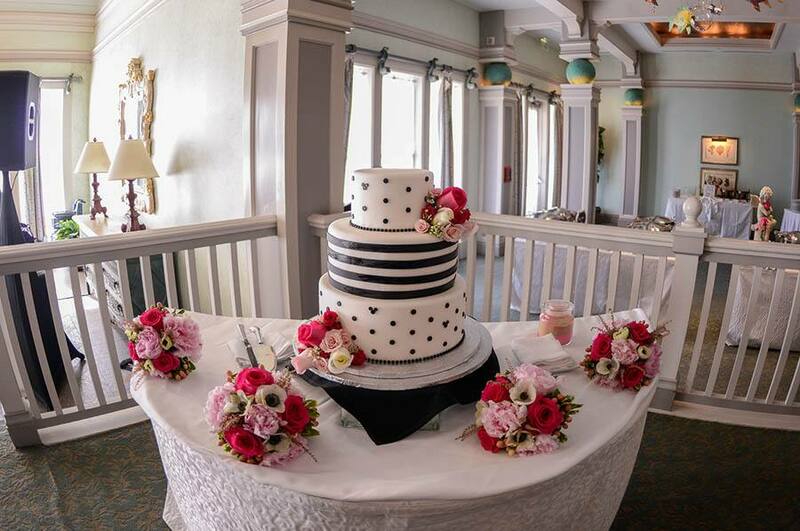 If I had done a Disney wedding, this would have been the cake minus the flowers.